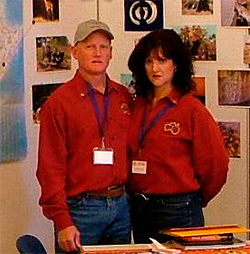 Australian Hunting Consultants was set-up to facilitate International Hunters seeking hunting opportunities in Australia and New Zealand. Who better to organise your Australian hunt than an Australian hunter? We are licenced guides and safari tour operators. Australian Hunting Consultants also specialises in International hunts aimed at Australian Hunters who would like to experience the exciting hunting opportunities that other countries have on offer. We have access to the best Outfitters, hunting the best areas, for the finest trophies available in Australia, New Zealand, North America and Europe. Australian Hunting Consultants is a family based Company, with Ian Jaques (Managing Director) and Kathy Jaques (Office Manager) dedicated to making your hunting experience a memorable one for all the right reasons. We have hunted in many different countries around the World, which has given us an insight into what makes for a great hunting experience. We are also fortunate to have the services of one Australia’s finest Taxidermist’s to handle your hunting trophies in a most professional way. Have our Taxidermist expertly mount your trophies here in Australia or if you prefer we will organise shipping to the Taxidermist of your choice, anywhere in the World. We at Australian Hunting Consultants have a solid commitment to Service and Client satisfaction.